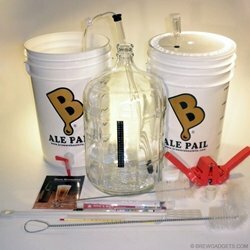 This is the perfect starter Kit for a beginning brewer. It contains everything you need to make fantastic beer other than a boiling pot, bottles and caps. This one time investment will allow you to make beer for years! simply purchase brewer’s best ingredient kits and you are a brewery.